Do you have wasted space in the basement because the area is unfinished? Or maybe you are looking for a way to upgrade the outdated design features and finishes in the basement. Many people underutilize the basement in their home, especially if they don't have a basement where they feel comfortable and happy spending time. 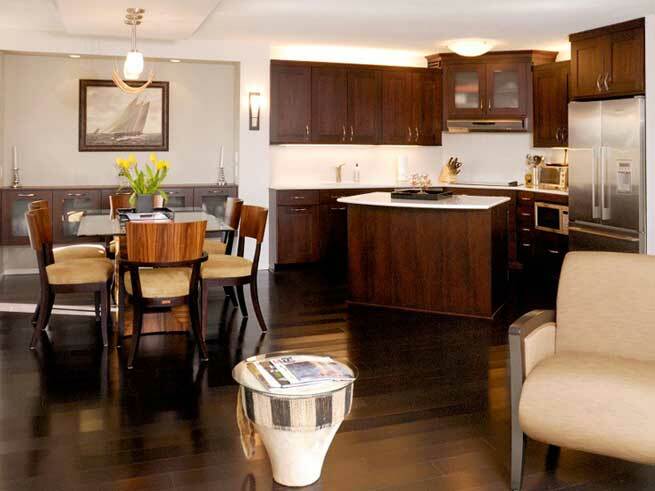 Here at Chicago Kitchen Remodeling we offer more than kitchen services because we can remodel any area of your home. 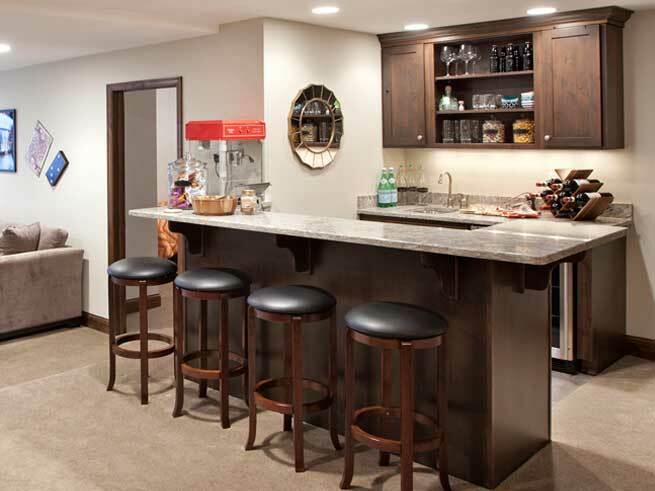 If you are interested in basement remodeling, then we will work closely with you to understand the design features that you would like to incorporate into the home. We can help you choose the perfect products and services to make your basement shine. There are several elements that need to be considered if you are planning to remodel your basement. First of all, we will talk about the current condition of the basement, and determine if sheetrock or insulation needs to be included in the remodeling project. Some people have unfinished basements that are completely empty and we are happy to work with you starting with the basics in order to create the walls and layout that match your preferences. Other design elements that need to be considered include the bathrooms or even the wet bar or kitchen that might be added in the basement. We will make sure to plan the plumbing and electricity accordingly in order to match your preferences with these design features. If your basement is already built out and you want to simply upgrade the area it might be as simple as changing the flooring in the room and re-painting the basement. These small changes can have a big impact on the overall appearance of the room, and you will be amazed to see how much of a difference it can make. One thing that needs to be considered in the basement area is the amount of natural light that comes in the windows and how the various colors and materials will impact the feeling of the room. If you have small windows in the basement, then you might consider incorporating lighter colors in order to create bright and cheerful rooms. Also consider the design elements that will make the basement attractive and functional at the same time. Are you trying to create the ultimate entertainment area? Then incorporate a big room where you can enjoy movies with your family and friends, or you might add in fun game areas or other spots that are designed for specific activities. You might even add a built-in entertainment center that can be used to store games and toys, with shelves that are designed to hold the TV and other equipment such as video game systems, projectors, or a surround sound system. Or, maybe the basement will be used mainly for crafts and projects, such as a sewing room or a scrapbooking area. If it will be a place for projects then you need to think about the layout of the cupboards and how each room will be functional to accommodate the storage space and the working space that you will need. We can help you choose the right cupboard layout so that you can store everything that you need in the basement. You will be much happier in the basement if everything is organized and there is a space to put away the various items that you will be using and it will bring a lot more peace to your home to have the right organization tools and home arrangement resources available to you. Many times a basement will include a large area where guests can be entertained and if it is designed right then it will be the perfect solution where a large group of people can gather together. Additionally people often like to include guest rooms in the basement, where they can host friends and family who need to stay the night. We will work closely with you to understand your goals for the basement in order to plan the perfect remodeling and design to match your needs. Contact us today to learn more about the options that are available!